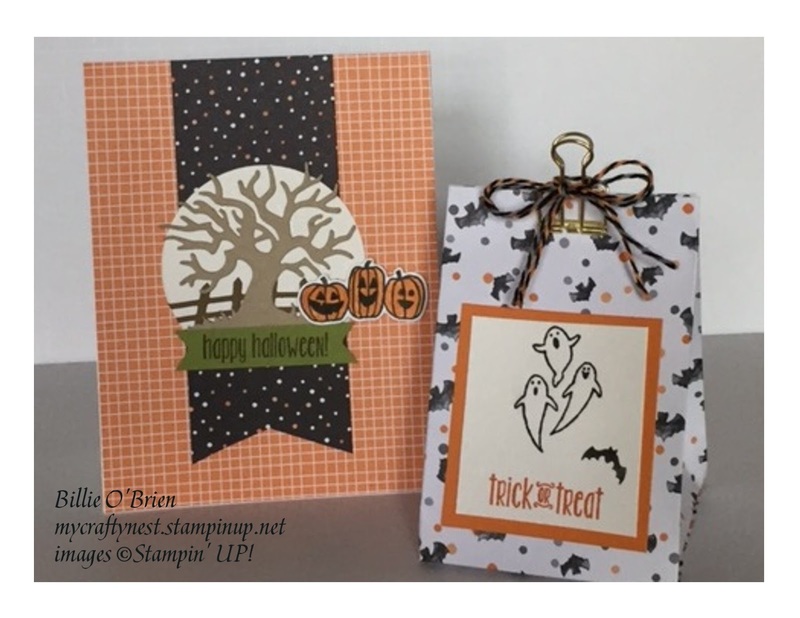 Okay, this is it for Halloween, but I just wanted to make a quick post and share two more projects I made last week. 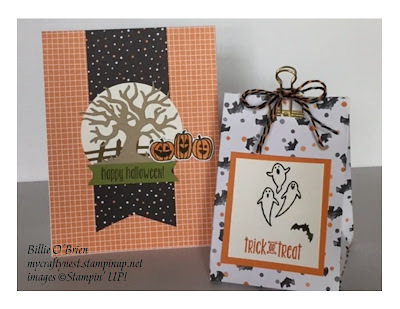 I used the Spooky Fun stamps and framelits again, to make this card and treat bag. 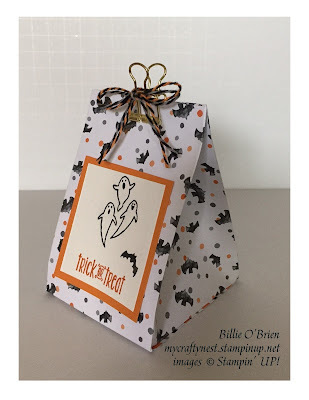 This time I didn't use the Gift Bag Punch Board to make the treat bag, I used my Stampin' Trimmer (or you can use the Simply Scored Scoring Tool). As you can see in the photo the treat bag is wider at the bottom. I was inspired to make this cute, little bag by Pootles Papercraft. You can find her instructions there, better than I can explain it here. 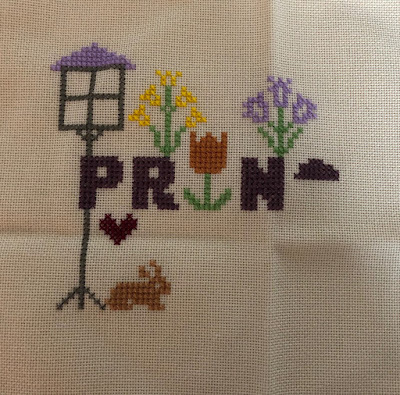 It's such a cute bag and I look forward to making more like these, great for table party favors, too. Thank you for stopping by and I'll be back with more paper crafts for you.